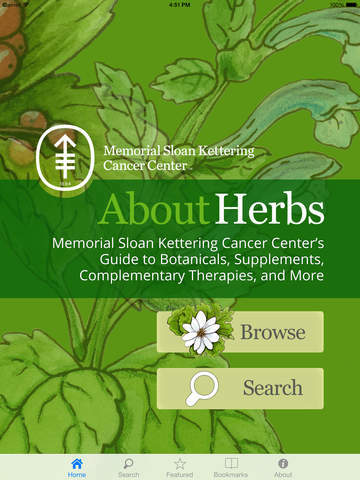 About Herbs is presented by Memorial Sloan Kettering Cancer Center’s Integrative Medicine Service. This app works on iPad, iPhone, and iPod Touch devices. Memorial Sloan Kettering Cancer Center is one of the world’s premier cancer centers, committed to exceptional patient care, leading-edge research, and outstanding educational programs. 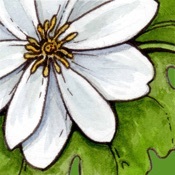 In this app, our Integrative Medicine Service, under the leadership of a pharmacist and botanicals expert, provides comprehensive, objective information about herbs, botanicals, supplements, complementary therapies, and more.